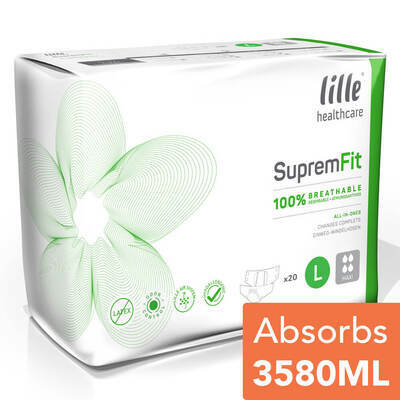 Suitable for most kinds of incontinence, the Lille All in Ones Suprem Large Maxi 20 have a highly absorbent design. They have been manufactured to offer a rustle-free wear with a waterproof backing that prevents leaks and other accidents. The Stay Dry barrier helps to add further protection while the entire pad wicks away moisture to present sores or rubbing against the skin. They have been designed as an all in one pad and are available in a range of sizes to suit your personal needs. 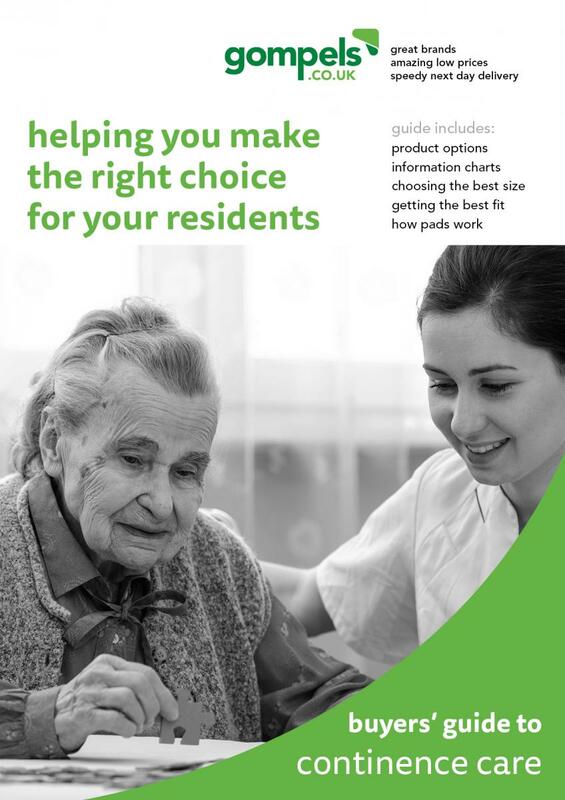 This pack of 20 all in ones comes individually wrapped for easy distribution and can be stored alongside the rest of your care home's incontinence supplies for when it is next required.